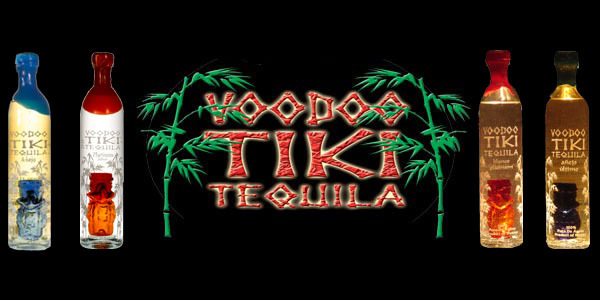 Voodoo Tiki® Tequila and Whiskey Tango All American Bar and Grill are teaming up to bring Voodoo Tiki Ultra Premium traditional and infused tequilas to Downtown Hollywood tequila fans. Whiskey Tango All American bar and Grill will be offering tequila flights, house specialty cocktails and the world famous "Desert Rose Prickly Pear Margarita." Whiskey Tango All American Bar and Grill is located ... more. The Beginning of the Extraordinary Part 2 Read part 1 of this article here Mexico achieved independence from Spain in 1821. But until the 1870s it was a politically unstable country that experienced frequent changes in government, revolutions, and a disastrous war with the United States. Marauding bands of soldiers and guerrillas extracted "revolutionary taxes" and "voluntary" contribu... more. Voodoo Tiki® Tequila and the popular Los Angeles hot spot El Compadre are partnering to bring Voodoo Tiki Ultra Premium traditional and infused tequilas to world famous Hollywood. Rare Voodoo Tiki handcrafted boutique tequilas will be offered in the authentic Mexican casual and friendly atmosphere known famously as the 'Home of the Flaming Margarita.' El Compadre brings old school Mexico to ... more. The Beginning of the Extraordinary Part 1 Tequila, and Mezcal, track their origins back at least 2000 years. About the first century A.D., one or more of the Native tribes that lived on what is at present central Mexico learned that the juice of the agave plant, if left in contact with fresh air, could ferment and become a white, to some degree alcoholic drink. News of this uncovering spread al... more. Delray Beach gourmet destination Caffé Luna Rosa has added Voodoo Tiki Tequilas to their exclusive Craft Spirits collection. Gourmet Voodoo Tiki Tequila cocktails and Margaritas will now be available in the popular Italian beachside bistro. Caffe Luna Rosa offers intimate dining by candlelight with serenading musicians just steps from the shoreline. Headed by a team of Italian chefs, the menu ... more. Voodoo Tiki Platinum, Reposado, Anejo, and the smash hit Desert Rose Prickly Pear Infused are now available in limited supply at Joe Canal's Discount Liquor and Wine Outlet. The Voodoo Tiki family of craft Traditional and Infused Tequilas will be added to the liquor purveyors massive offering of popular, boutique and handcrafted spirits. Established in 1984, Joe Canal's Discount Liquor has served... more. There are quite a few members of the "Tequila Snobberati" that insist that each individual tequila that comes out of the exact same NOM are actually the same exact tequila and that only the bottles differ. This is so ridiculously false that it's laughable. It's more rhetoric attempts at preserving sacred cows. Firstly, what is a NOM. NOM is an acronym for "Normas Oficial Mexicana". T... more. Gourmet Superstore Wine Works has added Voodoo Tiki craft tequilas to their highly selective inventory of specialty products. A limited inventory if the rare boutique tequila made in batches of under 1,000 bottles, and featuring a Voodoo Tiki idol in each bottle are now available. Voodoo Tiki Tequila is made in small batches, with the finest ingredients in a process that results in an award win... more. The Voodoo Crew made a secret visit to New York City's famed Death & Company, where Voodoo Tiki creator John Taddeo ordered a cocktail created by Joaquin Simo called The Dolores Park Swizzle. The mixture combined añejo tequila, amontillado sherry, lime, ginger and velvet falernum. It’s more than exceptional, it’s an intricate explosion of flavor. It’s served in a pilsner or highball g... more. 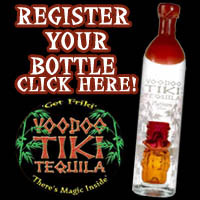 New Jersey’s Scoot's Liquor Store is featuring Voodoo Tiki Platinum Tequila. The highly collectable “Tequila with the Tiki in the Bottle” is made in small batches, with the finest ingredients in a process that results in an award winning taste profile with very little heat or bite. 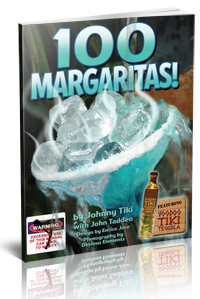 100% Blue Agave Voodoo Tiki crafted Platinum tequila maintains the herbal sweet taste of the mature agave w... more.